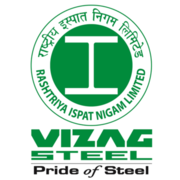 VIZAG Steel Recruitment 2019 - Apply Online for Apply Online/ Offline for Director(Operations) Post in Department of Personnel & Training, VIZAG Steel, New Delhi on Absorption. Online Applications are invited by VIZAG Steel (Visakhapatnam Steel Plant - RINL) from 22 Jan 2019 to 14 Mar 2019 till 03:00 PM for 1 vacancy. The applicant should be a Graduate in Engineering preferably in Metallurgical/ Mechanical/ Electrical with a good academic record from a recognized university/institution. Eligible candidates may apply online at Mazagon Dock's website (direct link is given below) from 22 Jan 2019 to 14 Mar 2019 03:00 PM. Smt Kimbuong Kipgen Secretary, Public Enterprises Selection Board, Public Enterprises Bhawan, Block No. 14, CGO Complex, Lodhi Road, New Delhi-110003 on or before 14 Mar 2019 03:00 PM.